"The smartest, wireless, voice-controlled speaker with movie-theater grade audio you can find"
SPACO is a game-changing multi-room home theater system with ASWY-patented levitating technology. 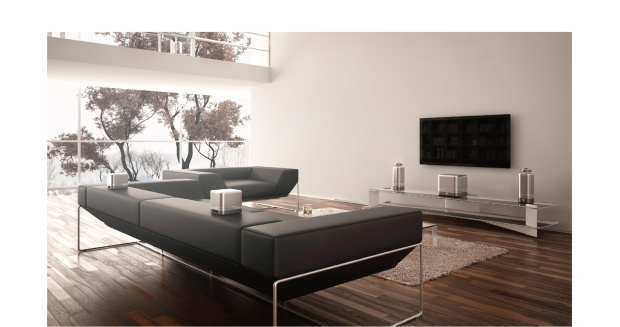 It uses 20 electrostatic diaphragm drivers and 8 dynamic drivers to brings movie theater quality to every corner of your home. 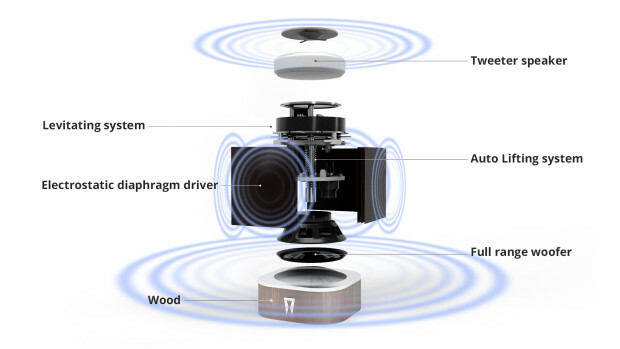 So it's basically a set of speakers which are able to produce 720-degree acoustics field created by the combination of 28 dynamic and electrostatic diaphragm drivers. 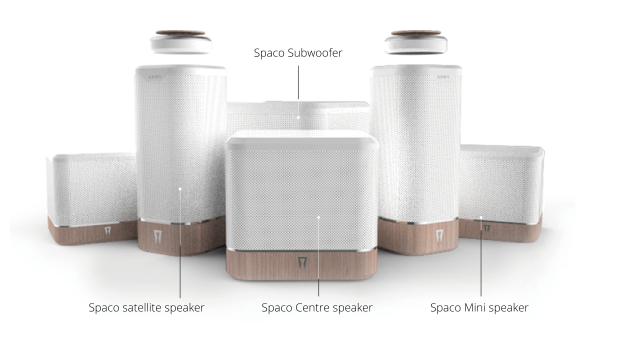 These speakers were founded on Indiegogo and created by a company called ASWY. The advantage of the levitating design, Aswy claims, is in its omnidirectional 360-degree surround sound, eliminating any friction that may come from traditional speakers that only broadcast sound waves in one way. This means pure, unadulterated sound to every part of the room, and the same sound quality no matter where you are, the company says. It's a very interesting tech (if you are able to buy it and use all the functionalities). Eh....its a bluetooth speaker. It's 360 degree sound field is not surround sound. It simply means no matter where you stand the audio will sound the same unlike traditional directional speakers. This is the opposite of what AR/VR needs where you need directional audio to replicate how we hear things in the real world where based on our ear position we hear things differently. We need directional sound, not omni-directional audio. I agree. Directional sound is not the same as what's described in this article. It is cool, however; it would be great for traditional tv/Netflix watching for families. It supposes to be a more involving sound, but you might be right.